Wheat Ridge has become a hotbed of development activity recently, with new housing and commercial projects garnering buzz and attracting headlines. After going years without adding any new inventory to the city’s housing stock, two new housing projects are under construction and another should break ground soon. New Town Builders broke ground in March on Perrin’s Row, a rowhome development located at 38th Avenue and Depew Street. The community will include 26 two-and-three bedroom row homes priced from the mid-$200s. Meanwhile, at 38th and Fenton Street, Urban Green Development is planning a sustainable development featuring paired homes, single-family patio homes and row homes. 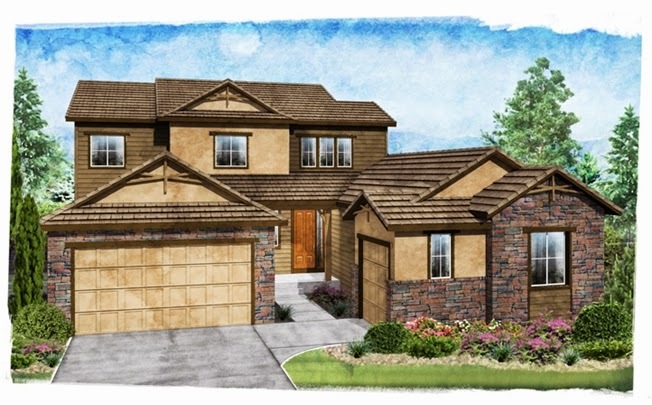 Standard Pacific Homes will offer a more traditional, upscale option, with a 48-homesite community in the city’s Applewood neighborhood. The city is also picking up steam when it comes to commercial development. While incentives have helped lured new, unique businesses to the city’s emerging downtown area, known as The Ridge at 38, developers are also aiming to attract larger retailers. A mixed-use development is taking shape at 38th Avenue and Kipling Street that will include a 64-unit senior living facility and a 27,000-square-foot Sprouts store. 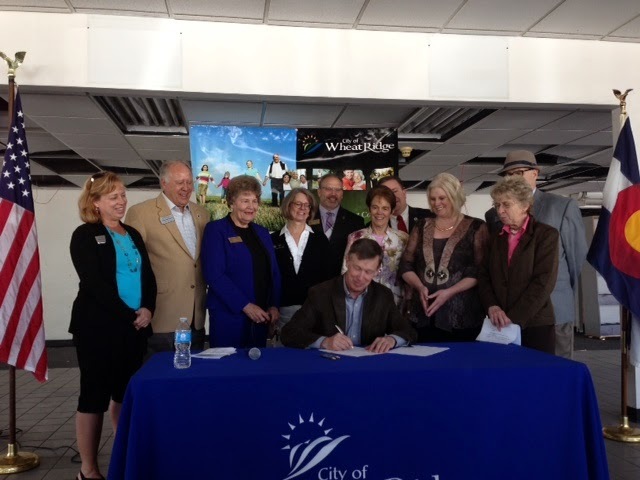 Another large grocer could land at the southwest corner of 38th and Wadsworth, where Governor John Hickenlooper recently signed a bill that would provide tax credits for environmental clean-up projects. The Wheat Ride Urban Renewal Authority, which owns a portion of that site, could transfer tax credits to a developer to help cover the $300,000 in environmental remediation needed at the site. 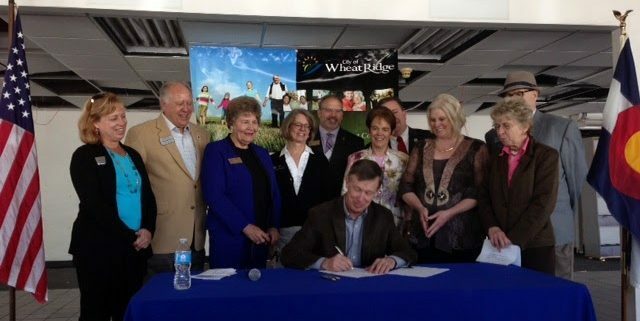 The developments have captured the attention of local media outlets, who have been closely following Wheat Ridge’s growth. The Denver Post covered the building boom in March and did another story examining redevelopment efforts in April. 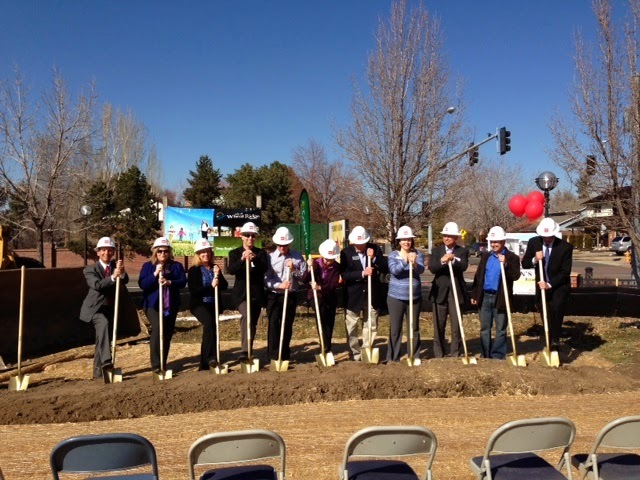 The Denver Business Journal also wrote about the Sprouts development and the recent bill signing. While the city’s economic development efforts are in the spotlight, officials also continue to work hard to build community among residents through unique gatherings and events. On June 22nd, Wheat Ridge and the Ridge at 38 hosted its first Criterium – a Bronze level Rocky Mountain Road Cup race. In addition to high-speed bicycle racing, the Criterium also featured food trucks, a craft beer garden, kids activities and live bluegrass music.